OFSTED July 2017 "A Whisker from Outstanding"
Our school was inspected by OFSTED on the 4th July and we are very pleased with and proud of the outcome. We are also delighted to confirm another year of excellent SATS result in KS1, KS2 and Year 1 Phonics results which are well above national expectations and reflect the excellent progress of our children. We will be publishing these on the SATS details page soon. This week sees the publication of our recent one day OFSTED inspection and as the school’s Governing Body, we would like to congratulate the whole of Team AK on their incredible hard work and dedication. 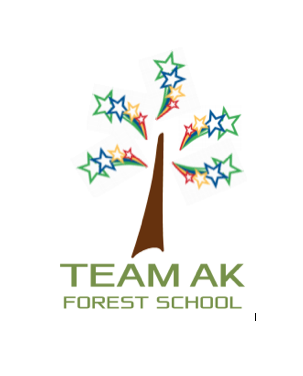 As Governors, we are in the privileged position of seeing all the behind the scenes action at our school and are incredibly proud of Team AK. Led by our outstanding head teacher Mrs Saville, the school has undergone an amazing journey over the last 3 years and those of you who are long term parents at the school will have no doubt seen the positive changes made during that time. 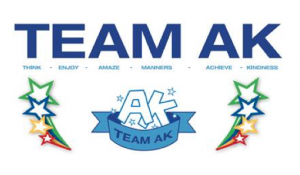 Since 2014 Team AK has been on a determined and unrelenting journey to constantly improve. The commitment needed to embark and travel down this challenging pathway from such a low starting point and arrive at where the school is now cannot be underestimated. Working so closely with the school as the Governing Body does, we know that the school team strives to shine bright and reach for the stars and the school is now excited about the next steps on the journey to OFSTED’s grading of outstanding. These targets are already on our School Improvement Plan and are easily achievable. Since our inspection in April 2012, OFSTED’s inspection framework changed quite radically in 2015, with far higher expectations and much more rigorous investigation. We cannot, therefore, make a like for like comparison of the 2012 ‘good’ and the ‘good’ of 2017. To put it in perspective, if we were inspected under the previous criteria, our achievement of good (2017 OFSTED) would be the previous judgement of outstanding. The Governors are also thrilled to be part of the strong relationship with parents who have been so supportive of and complimentary to Team AK. Over 130 parents submitted their opinion of the school on Parentview with 100% recommending AK. This has been the greatest year yet with the SIAMS inspection grading the school to be outstanding in all areas, under the new challenging criteria. With outstanding SATS results, which show how the school make excellent progress with our children and finishing with a one day inspection from OFSTED. The HMI inspector stated that the school was a “whisker from outstanding.” The targets set for the school are already in the school improvement plan and will be in focus for the next year. As Governors, we would like to express how proud we are of Team AK who are consistently delivering amazing results and incredibly high standards. Thank you to Mrs Saville, and the incredible AK team. Thank you too, children; your determination is a lesson to us all. Everyone has proved themselves to shine bright and truly reach for the stars.